The vision is explained in the last hour of this show! It goes along with the links below, but this gives, if true, more specific info. and something to be aware of! At any rate, it well worth a listen, especially with all that's going on now! 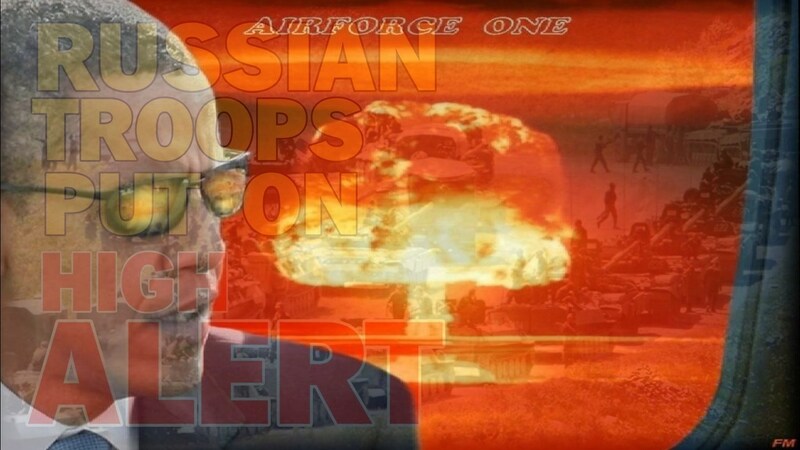 "While the American media is hypnotizing the American people with a side-show of the latest "groping" done by either Bill Clinton or Donald Trump, RUSSIA IS MAKING SERIOUS PLANS TO GO TO NUCLEAR WAR: WARNING IT'S CITIZENS TO PREPARE BY KNOWING WHERE THEIR CLOSEST BOMB SHELTER IS, AND TO BE PREPARED, TO GET THERE FAST, WHILE AT THE SAME TIME LINING UP NUCLEAR MISSILE BATTERIES, ALONG THE BORDER WITH EUROPE AND AIMING THE MUCH LARGER AND NEWEST -STATE OF THE ART- INTERCONTINENTAL BALLISTIC MISSILES AT AMERICA! 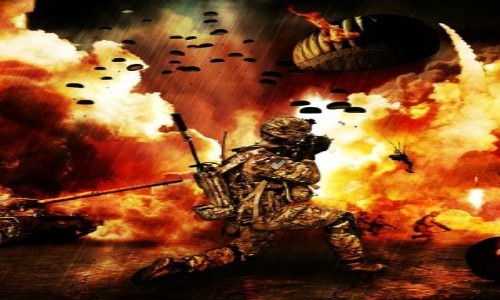 World War 3 May Now Be Imminent? ...however I do think that there is a lot of excellent information here. My take on that, is that it won't happen until the time of "THE GREAT TRIBULATION" as mentioned in Revelations 12.6,14. i.e. during the last half of 7 year reign of the coming ANTICHRIST ( 2 Thessalonians chapter 2 ) You will find many more details concerning "THE ANTI-CHRIST" in my book mentioned below. See another article on my website called "AMERICA THE WHORE" as probably mentioned in Revelations 17 & 18: http://www.outofthebottomlesspit.co.uk/418803990. ...but what about millions of innocent people who have nothing to do with the EVILS of both HIGH FINANCE & POWER. 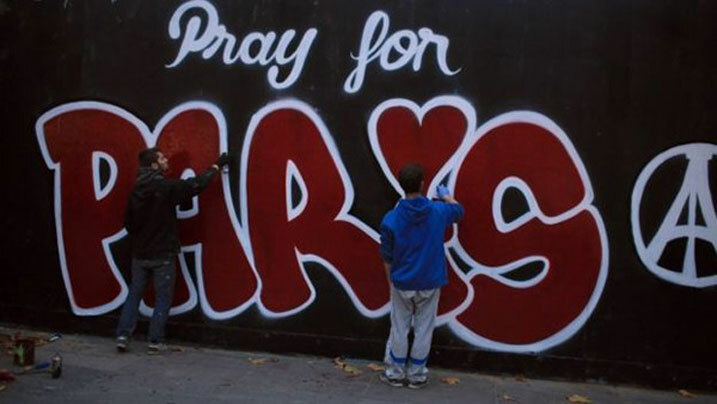 Our best DEFENSE is for everyone to desperately pray for God to Withstand the Forces of Evil for as long as possible. For the past 40+ years there have been many dangerous moments on the world scene of politics, but how much of it is actually REAL, and how much is actually SCARE TACTICS to force the masses to let the Elite pass more laws of CONTROL? "So far throughout history Satan has been prevented time and time again from totally taking over and totally destroying God’s creation. Now in these modern times he finally has the possibility in his grip, as only in the past 60 years, since the advent of the atomic age, has man the capability of totally destroying the planet. (2 Thessalonians 2.7-12) God’s protection of this planet because of its continued extreme wickedness will eventually be withdrawn." "One day after all of the truly saved have been resurrected and Raptured to heaven with Jesus (at the very end of the 3 and a half years of tribulation), and thus all positive spiritual light has left the planet for a while until Armageddon, this would then be the perfect time for the rising of total darkness from the bottomless pits and tunnels all around the earth. There would be no restraining force!" Hi! I agree & have always felt that the the destruction of the Mother of Harlots (USA) would happen in the Great Tribulation as described in Revelation 17 & 18 & particularly 17:12-13,& 16 And the ten horns which thou saw are ten kings, which have received no kingdom as yet; but receive power as kings one hour with the beast. REV.17:13 These have one mind, and shall give their power and strength unto the beast.REV.17:16 And the ten horns which thou saw upon the beast, these shall hate the whore, and shall make her desolate and naked, and shall eat her flesh, and burn her with fire. So I think we need these 10 kings & the AC united before the total destruction of the USA. So I agree with this that the USA total destruction will be in the Great Tribulation. 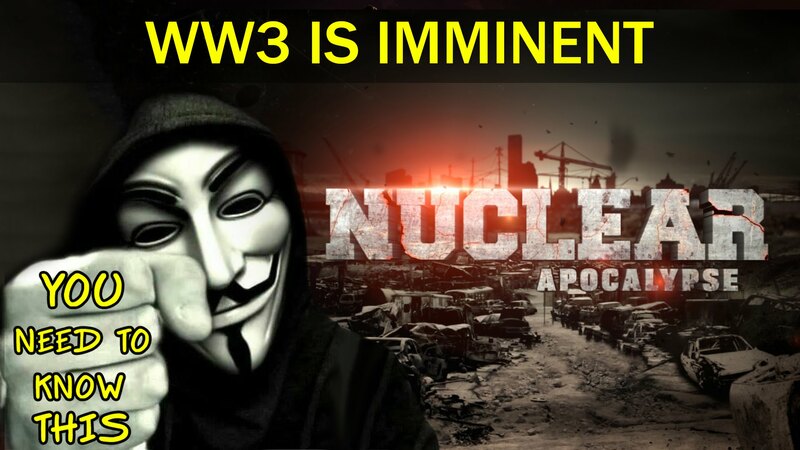 I don't think at this time period the USA will be Nuked! Steve's vision was that 10 Cities could be hit with a Nuke or could be suitcase bombs or dirty bomb something that could effect the USA where marshal law would be declared? Also with Steve's Quayle’s vision the question is will it happen or is this something he may have received for later on? I don't know! Maybe even what he got naming 10 cities won't happen? 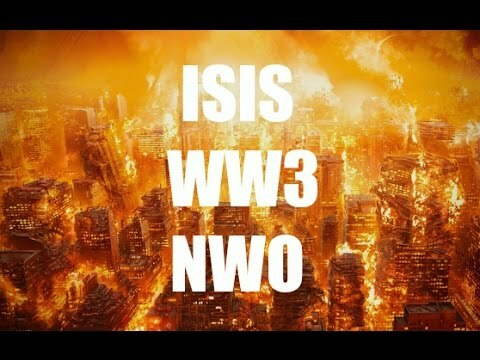 There was a prophecy in a publication years ago, that said that the world Government would use war, economic collapse, disasters, (HARRP & Woodpecker) could be used to create disasters, & there is the terrorism card & this would create chaos & great confusion to bring in the New World Govt. Yes, there's a lot of hype going on & I still remember the Cuban missile crises where it seemed that the Atomic war was just an inch away. Girls in my school were crying & everybody was freaked out. I think with all that's going on we also still have to remember D.B.Berg’s Daniel 11 take & that war could still happen as the AC fights 5 or 6 wars & possibly the verse in Daniel 11:44 could possibly be the Nuke war. Here's the link http://www.countdown.org/en/entries/features/the-rise-reign-and-wars-of-the-antichrist/ This was published in Sept 2016 & I basically took this from D.B.Berg's dissertation, as he talked about the various wars of the AC. D.B.Berg also suggested that there could be a war before the covenant & is this current situation leading to a war & an eventual covenant? Maybe Maybe not? Although verse 21 in Dan 11 first introduces the AC as a vile person as he comes in with peace & flatteries then uses war or the threat of war in verse 22. So I just wanted to clarify that I don't believe a total Nuke war will happen but I think its possible that 10 USA cities could be hit in some way? Remember the late Russian Lebed went to the USA & went to congress & stated that there are Russian suitcase Nukes in the USA? True or false you decide? Steve Q has been pretty right on over the years but he gets a lot of his info via various sources, but this 10 cities was a dream or vision & wasn't the total destruction of the USA! So I guess we'll just have to wait & see, but there are a number of watchmen who are very concerned about current events. In my personal opinion I think 2016 & 2017 could be critical on the world stage. I don't think they'll let Trump in, but I even look at a far out scenario what if Trump got in started to change things becomes the king of the south & stands up against the king of the North? Put that in your pipe & smoke it! Ha! But of course the AC will win as the king of the north. Now I doubt that this would happen, but it could possibly be a scenario?? Another scenario was the famous William Brannon had a vision back in the 30's that the last USA president would be a cruel women? Does this mean Hillary will win & under her presidency get Nuked in her first or 2nd term maybe maybe not!? Its just a possible scenario. She looks pretty sick & weak health wise! So I just wanted clarify my short comment. I think its possible that 10 USA cities could get it hard, according to Steve Q but maybe its for later than sooner or maybe it will be sooner, or maybe his vision was false. I don't know? My foundation stone to Bible Prophecy is D.B.Berg's 16 Major Points of the ET. Also, Steve I believe your writings are very good & right on. But I just want to make clear what I was thinking about Steve QUAYLE'S dream & I don't think the USA will be totalled out now that I believe is in the Great Tribulation! On my return journey, I stopped at Honolulu airport and noticed an American magazine called Women's Health. On the cover was a smiling woman in a bikini swimsuit, and the headline: "You, too, can have a bikini body." A few days earlier, in the Marshall Islands, I had interviewed women who had very different "bikini bodies;" each had suffered thyroid and other life-threatening cancers. 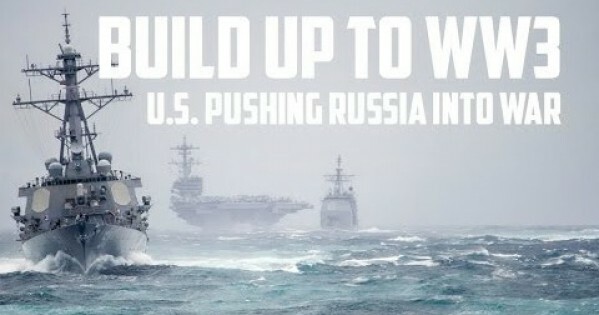 In the last eighteen months, the greatest build-up of military forces since World War Two – led by the United States – is taking place along Russia's western frontier. Not since Hitler invaded the Soviet Union have foreign troops presented such a demonstrable threat to Russia. 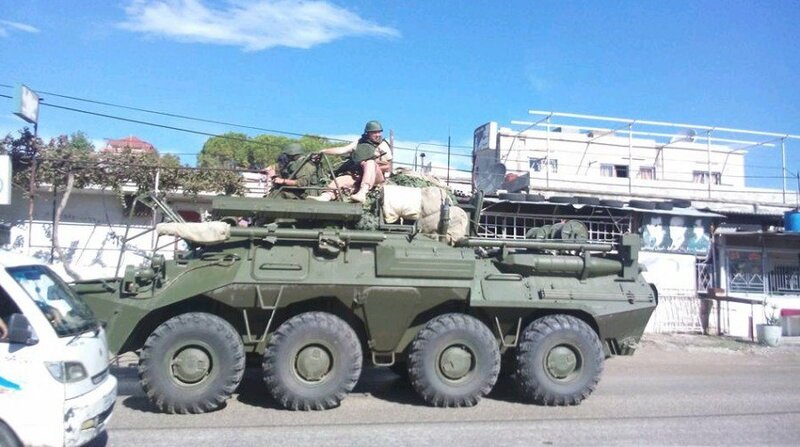 In Latvia, Lithuania and Estonia – next door to Russia – the US military is deploying combat troops, tanks, heavy weapons. This extreme provocation of the world's second nuclear power is met with silence in the West. Seldom a day passes when China is not elevated to the status of a "threat." According to Admiral Harry Harris, the US Pacific commander, China is "building a great wall of sand in the South China Sea." What he is referring to is China building airstrips in the Spratly Islands, which are the subject of a dispute with the Philippines – a dispute without priority until Washington pressured and bribed the government in Manila and the Pentagon launched a propaganda campaign called "freedom of navigation." I made a film called ‘The War You Don't See,’ in which I interviewed distinguished journalists in America and Britain: reporters such as Dan Rather of CBS, Rageh Omar of the BBC, David Rose of the Observer. The propaganda laying the ground for a war against Russia and/or China is no different in principle. To my knowledge, no journalist in the Western "mainstream" – a Dan Rather equivalent, say – asks why China is building airstrips in the South China Sea. In 2015, in high secrecy, the US and Australia staged the biggest single air-sea military exercise in recent history, known as Talisman Sabre. Its aim was to rehearse an Air-Sea Battle Plan, blocking sea lanes – such as the Straits of Malacca and the Lombok Straits – that cut off China’s access to oil, gas and other vital raw materials from the Middle East and Africa. In 1947, a series of National Security Council directives described the paramount aim of American foreign policy as "a world substantially made over in [America's] own image." 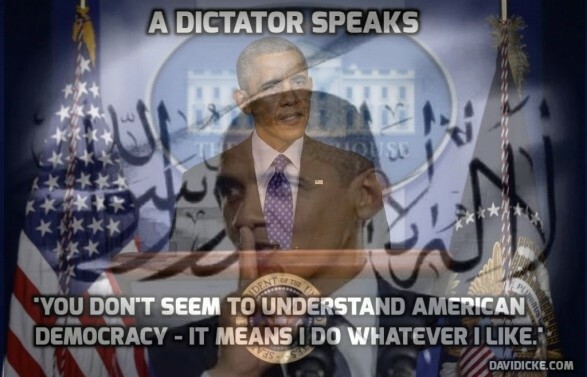 The ideology was messianic Americanism. We were all Americans. Or else. Heretics would be converted, subverted, bribed, smeared or crushed. As presidential election day draws near, Clinton will be hailed as the first female president, regardless of her crimes and lies – just as Barack Obama was lauded as the first black president and liberals swallowed his nonsense about "hope." And the drool goes on. Described by the Guardian columnist Owen Jones as "funny, charming, with a coolness that eludes practically every other politician,” Obama the other day sent drones to slaughter 150 people in Somalia. He kills people usually on Tuesdays, according to the New York Times, when he is handed a list of candidates for death by drone. So cool. One of Clinton's closest allies is Madeleine Albright, the former secretary of State, who has attacked young women for not supporting "Hillary." This is the same Madeleine Albright who infamously celebrated on TV the death of half a million Iraqi children as "worth it". A generation ago, a post-modern cult now known as "identity politics" stopped many intelligent, liberal-minded people examining the causes and individuals they supported, such as the fakery of Obama and Clinton; such as bogus progressive movements like Syriza in Greece, which betrayed the people of that country and allied with their enemies. Self-absorption, a kind of "me-ism", became the new zeitgeist in privileged western societies and signaled the demise of great collective movements against war, social injustice, inequality, racism and sexism. In the US, Bernie Sanders has promised to support Clinton if or when she's nominated. He, too, has voted for America's use of violence against countries when he thinks it is "right." He says Obama has done "a great job." Please put this in the “I need to get this off my chest” category. I know you know most (if not all) of this, but I believe, as a somewhat recently retired US Army General, I have an obligation to put this out there. Steve, there are historical “war cycles.” Not every war can be total (WW II), or a stand-off (Korea), or swiftly-victorious-but-without change (Desert Storm), or indecisive (Vietnam/Iraq/Afghanistan). There is a rhyme and rhythm to human conflict and we are on course for total war. Strauss and Howe do an excellent job of explaining such cycles in their 1997 classic book, The Fourth Turning. Your website has offered many solutions of what people should do. 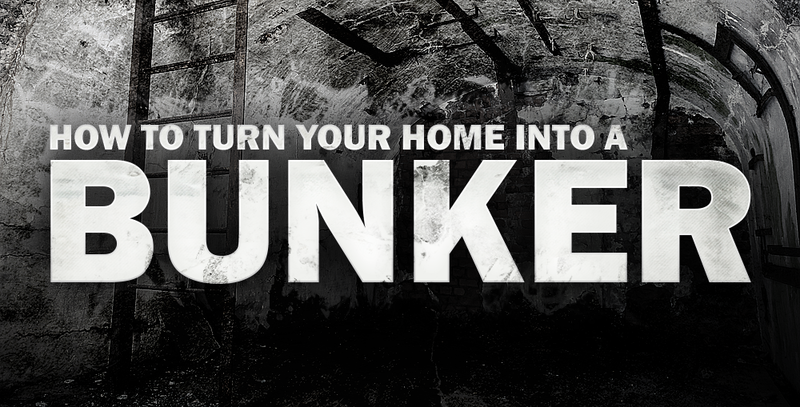 Your recent prepper articles have been outstanding. Of course, the best way to live through total war is to not participate. Given this, what can the average American do? There is another issue. Your readers are going to have to make a judgment call as to whether the next war is a “God’s judgment war”. If you determine in the affirmative, then your bravery, good intentions, self-sacrifice, and noble deeds will be in vain. You will not be fighting a foreign foe. You will be fighting His will. You will lose. And please, do not fall into the trap that “at least we are better than the other guys”. The Egyptians, Assyrians, and Babylonians were not saints, yet God used them to judge ancient Israel and Judah. 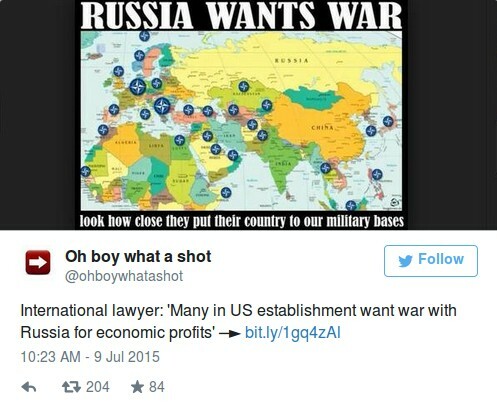 Have the totally evil, ........ neocon warmongers who control the US government taught Putin that war is inevitable? This should be "the clincher" as far as understanding recent modern history. Of course it goes back much further than this, but humanity's attention span is quite short so perhaps this will suffice. Before the attacks, the British government could propose a drastic £1.9 billion cut to the police budget. After the attacks, those cuts are likely to be drastically scaled back. Hey, remember back in those “good ol’ days” we called the Cold War when we thought World War Three would begin over some penny-ante border skirmish in Europe? You know, a Soviet plane gets close to the border, we panic, it gets shot down. Then the Soviets decide to shoot down the next plane that tries that again. Then it escalates from there. Well, folks, have a look at this. Captain Konstantin Murakhtin, who was evacuated from rebel-held territory after his plane was downed, has also claimed the pilots were given no warning they were violating Turkish airspace. 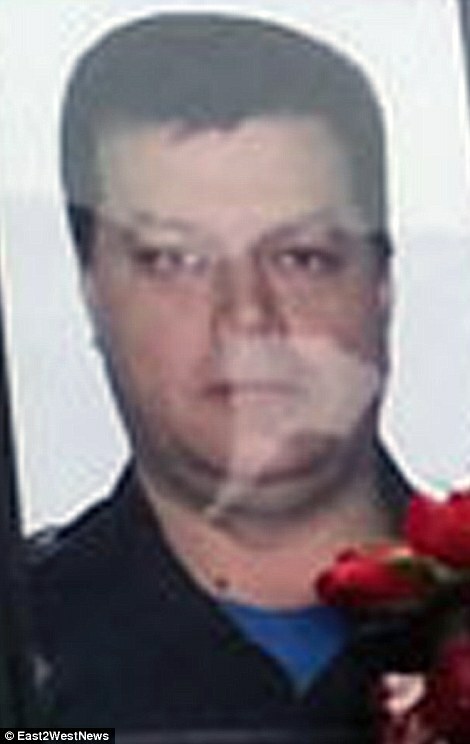 His co-pilot, Lieutenant Colonel Oleg Peshkov, was killed by local rebels after their plane was shot down by the Turkish military on Tuesday. 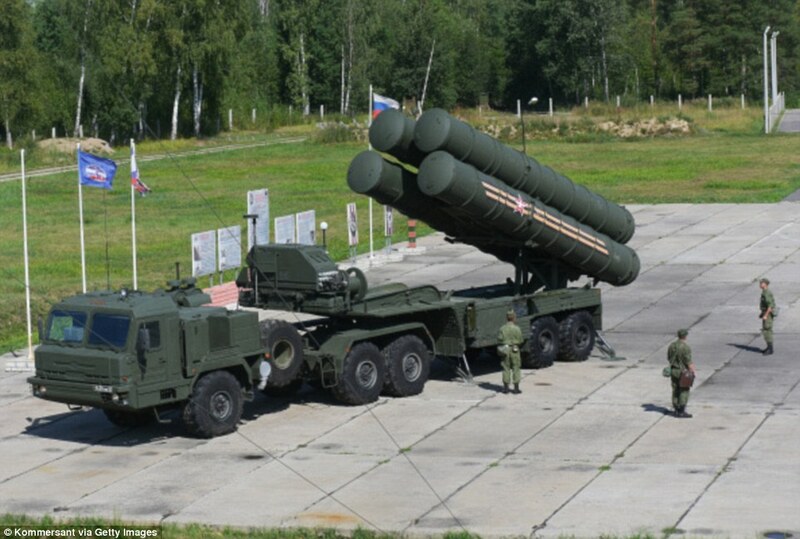 And despite the international community's best efforts to reduce tensions, President Vladimir Putin has deployed his feared S-400 battalions to Latakia, Syria, in response. 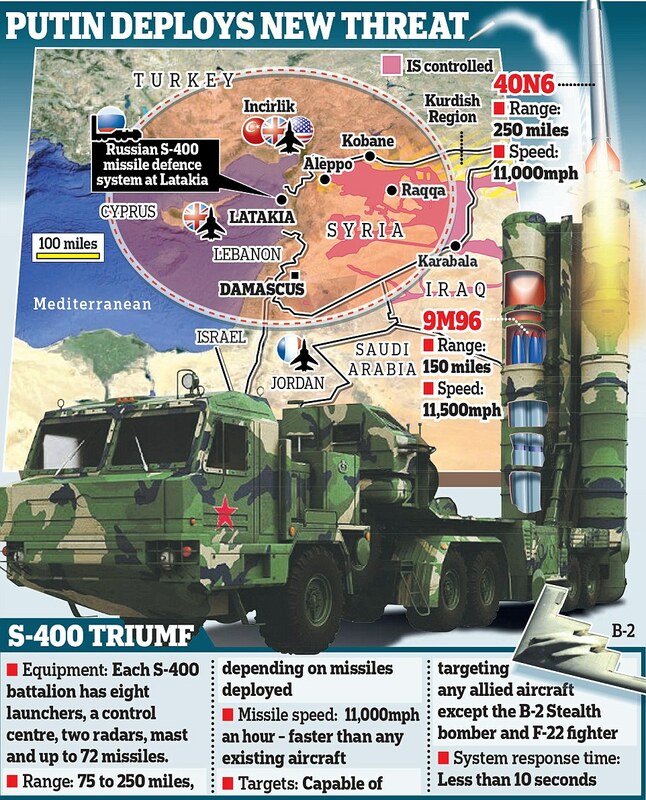 Military analysts said the anti-aircraft system – with a missile range of 250miles – was a ‘formidable potential threat’ to coalition aircraft flying over Syria, Iraq, Turkey and even as far as Cyprus, where RAF jets are stationed. 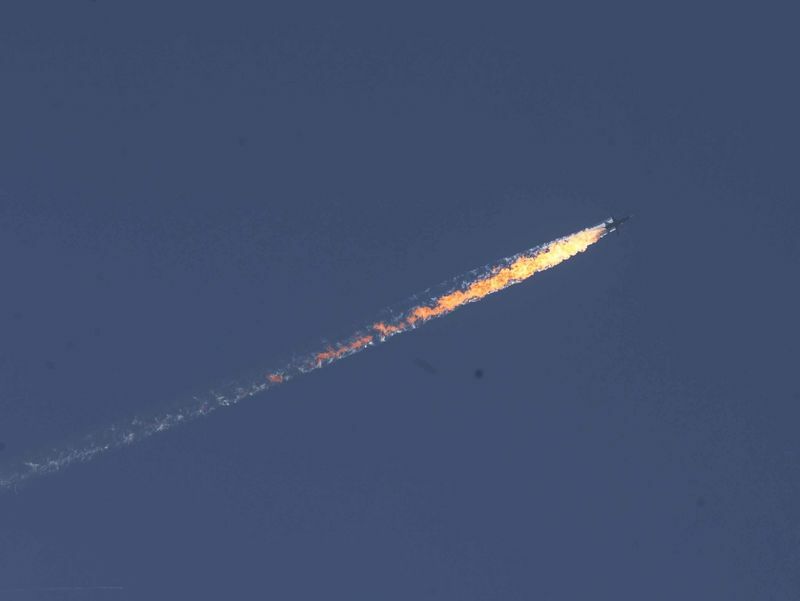 It comes as Turkey released a statement claiming it had no idea the jet it downed was Russian. 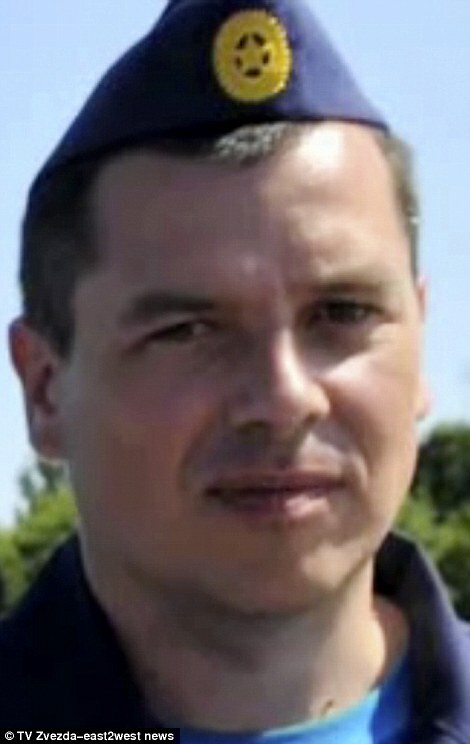 Captain Murakhtin is appealing to his commanders to allow him to remain in Syria. 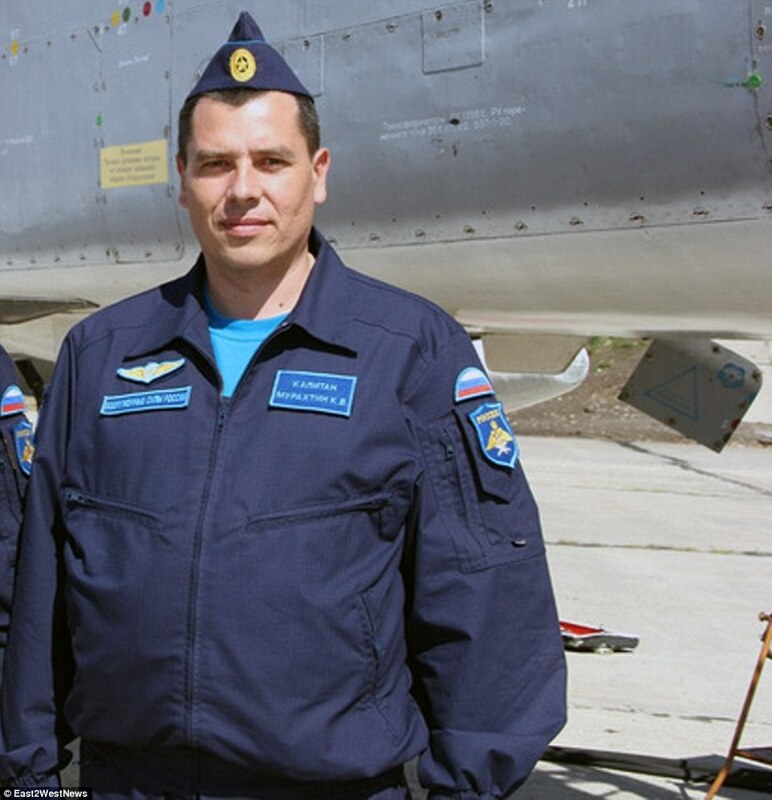 He said: ‘I can’t wait to return [to flying] … I have a debt to repay to the commander.’ The airman told Russian TV that he wanted to keep flying missions from the base to ‘pay them back for my commander’. He also flatly denied there were any warnings from Turkish F16 pilots that his plane was about to be shot out of the sky. This is not hyperbole: A state of war now exists between Russia and her allies and the United States and her allies. If there is anyone left alive to write history in a decade, today’s shoot down of a Russian fighter jet could very well be viewed as the trigger event which set off World War III. In a potential Archduke Francis Ferdinand moment, Turkey is admitting to shooting down a Russian fighter plane a few hours ago. Russian governmental officials are claiming that Russia did not violate Turkish airspace and has mission data to prove this is the case. Conversely, RT is claiming that it’s confirmed that the plane came down in Syrian territory. 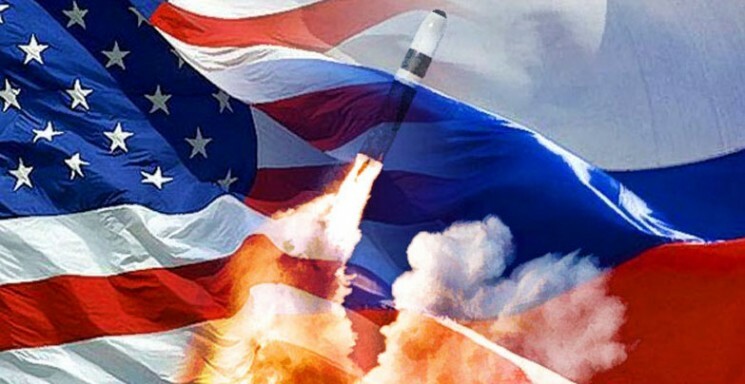 If the Russians are correct, and the evidence appears to be on their side, then NATO just started World War III. Regardless of how this incident is spun, the unmistakble fact is that Turkey, a member of NATO, intentionally shot down a Russian fighter jet involved in combat operations against ISIS terrorists is absolute proof that Turkey is coordinating with ISIS forces on the ground, but it is also providing air defense services ISIS on the ground. This event signals clear division of forces operating in Syria where now a state of war exists between Russia and her allies and the United States and her allies. At this point, it is important to note that the conflicts are still between the proxy forces of both Russia and the United States. 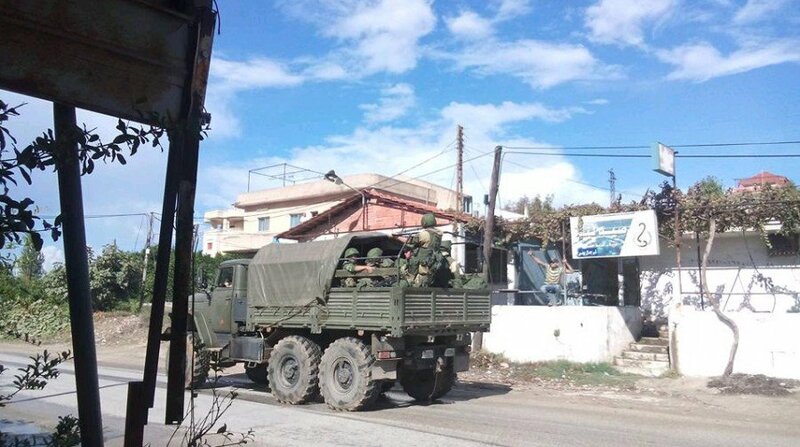 However, logic would dictate that it is merely a matter of time until these “confrontations” begin to involve US forces and the Russian military. When that day comes, the events will quickly spill out of control. Before the implications are unraveled in this article, it is important to put the facts into perspective with regard to common perceptions coming out of the Middle East and Russia. Below are two tweets which immediately frame the issue that the shoot down of the Russian plane was an act of NATO aggression towards Russia. I would remind the reader that I have taken a hard line against Putin who is a thug and a murderer. However, in this instance, the United States, through her proxy forces in Turkey that actively supports ISIS, just committed a bold-faced act of war. Russian aircraft Su-24 crashed in Syria. According to the preliminary data, the pilots managed to eject from the warplane Turkmen Al-Qaeda affiliated rebels sponsored by Turkey captured one pilot. This is the manner in which the Russian media is portraying this event. And I have concluded, that their position is the closest to the truth of all the accounts that are beginning to surface. The events connected to this incident are spinning out of control. It has been announced that Putin will be addressing the world today. Please note, that he did not offer a public statement when the Russian airliner was shot down. If one is naive and ignorant enough to believe that the Syrian conflict has not evolved into a war between Russia and the United States, then you might want to review your World War II history and review the Flying Tigers opposition to Japanese imperialism in China, prior to December 7, 1941. 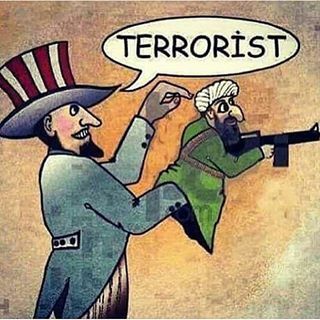 This is exactly what we are witnessing in Syria, only on a larger and more significant stage. I predict what will be missing in the analyses of this event will be the absence of a solid conceptual framework from which to properly view the context of this event. The BRICS have attacked the sacred Federal Reserve by undermining the Petrodollar. It is important to note that the entire conflict over Syria was initiated by Russia, Iran and Syria when it was first discovered that Iran and Syria were selling oil for gold instead of using Federal Reserve Notes (i.e. the dollar which became known as the Petrodollar). Very quickly, Russia was joined in their undermining of the Petrodollar by China, India, Brazil and South Africa (i.e. the BRICS). In response, the US tried to overthrow Assad, the leader of Syria by supplying Syrian rebels with weapons and CIA support. 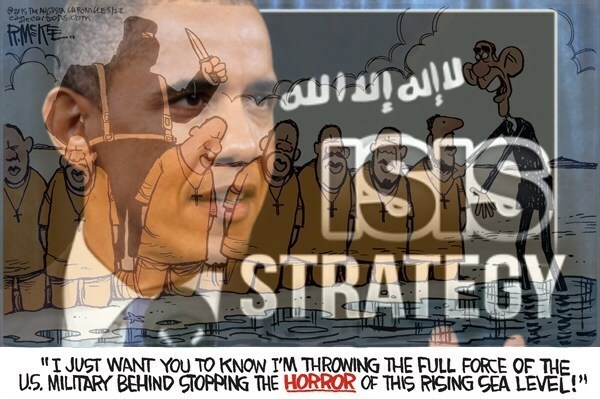 As this endeavor slowed to a crawl, the CIA, according to former Army Special Operations Officer, Scott Bennett, began to supply ISIS with sophisticated weapons and on the ground training. Anyone who ever doubted Scott Bennett’s revelation of the inseparable relationship between ISIS and the CIA is not paying attention. As already revealed in this article, NATO member Turkey has just shot down a Russian fighter plane engaged in combat operations against the US backed ISIS. I have learned a great deal about the personality of Putin in the last several years. He is at the end of his rope. Expect Russia to draw a line in the sand. I am the New World Order! 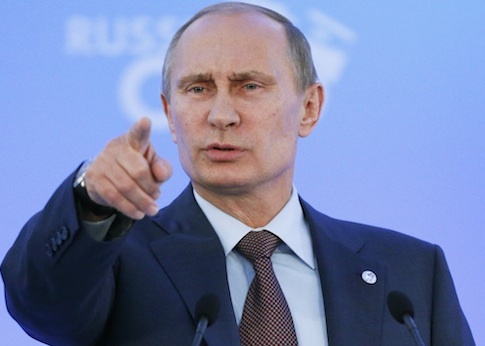 Putin has already called out the United States for supporting ISIS. 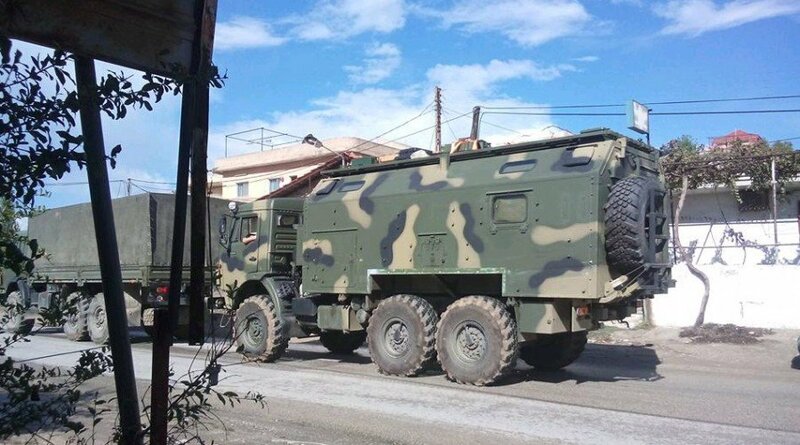 Expect Putin to commence military operations against ISIS forces operating within the territorial boundaries of Turkey. This would denote a Russian attack upon NATO and the world will see its prospects for peace reach the proverbial point of no return. 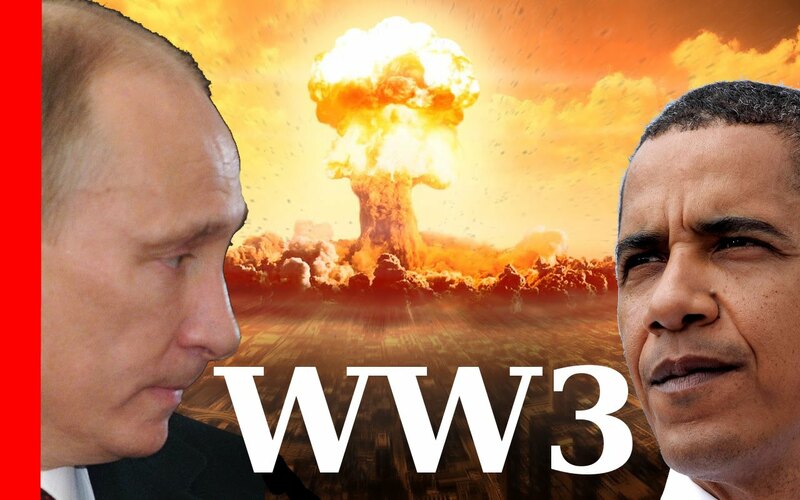 It is not a matter of if, but when World War III goes hot. The forces are aligned. I would just caution the readers about one thing. I would not go waving my flag because the MSM will soon tell you to do so. Instead, I would ask you to recall what Einstein said about World War III. The White House is seriously considering deploying a small squadron of Apache attack helicopters to Iraq as part of a package of new “H programs to counter Islamic State, according to U.S. officials. nvolve Russia in the ongoing war,” the politician told RT.